Let’s talk about Autumn. While it’s a beautiful change in season, it also has its problems. The number one thing that most people stop doing when this time of year comes round is they stop going outdoors. Bright blue and sunny skies; crisp, frosty ground; trees painted in bright reds, oranges and yellows; and hills covered in velvety pink and purple heather – how could you not be drawn into spending more time outside making the most of the tranquil scenery? While most of us put our walking boots to the back of the cupboard the minute that summer starts to fade, what if I told you that taking a gentle stroll in the Autumn has a great impact on your health, and can even lift your mood and fend the ‘winter blues’ despite the dark nights drawing in? There are many reasons why I’m so fond of walking – you don’t have to run for a start, so it’s very unlikely to cause any injuries or problems with your joints. More importantly, everyone can walk! Also, you don’t need any equipment (like you do with most sports), plus walking is the foundation for good health. What do I do when I need to get away from a stressful day? I go for a walk! Preferably surrounded by nature. For me it’s the beach, or the hills. For others, it might be the woods or even a park. Sure enough, going for a walk anywhere in a natural setting is going to reduce your stress levels. 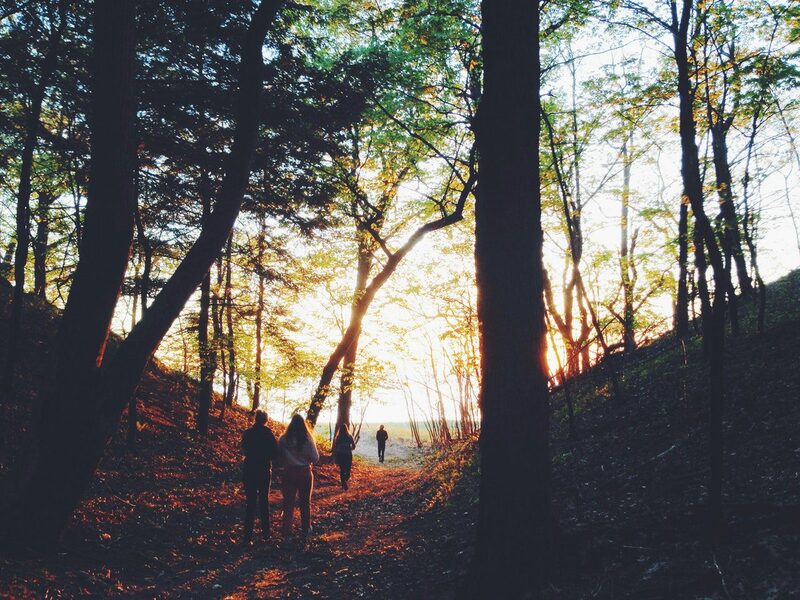 Believe it or not, walking can actually be good for your mind and overall mental health. According to a study by the foundation, people in their 60’s, 70’s, 80’s and 90’s who walked more than a quarter of a mile a day had half the incidence of dementia and Alzheimer’s disease. 3) It Tones You Up! Walking helps tone up legs, bums and tums – just be sure to be aware of your posture that you’re not slouching over, and your head is held up high. 4) Keeps You Moving No Matter What Age! And way more than you think! Brisk walking raises your heart rate, helps you get fitter, and keeps you from feeling tired less quickly. So there you have it, 5 reasons why you should keep active this Autumn and explore more with walking. Keep active all year round, so by the time the warmer months come round, you can keep active for longer without risking any injuries, or slight niggles dampening your day.